Check the authenticity of the products ? Hager Group Annual Report 2015 is now ready! 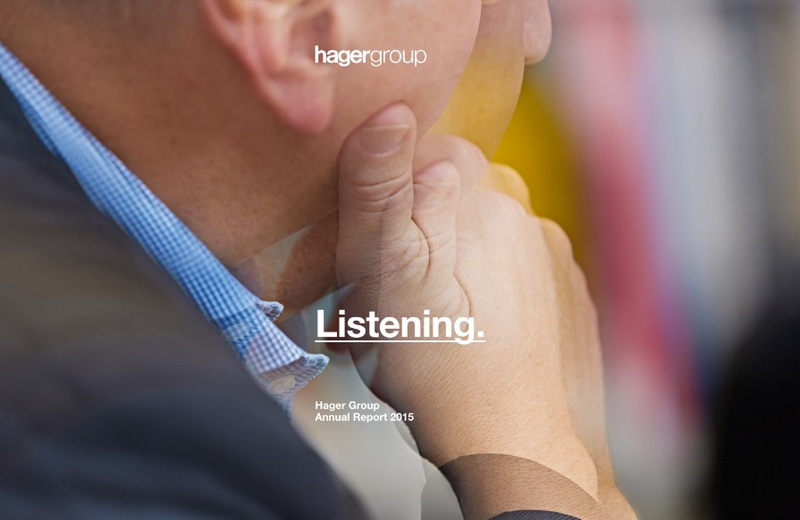 Hager Group Annual Report 2015 is dedicated to the precious art of listening. Its chapters follow the themes of Hager Group Project 2020, in which we intend to give our direction for growth and momentum over the next five years. The Annual Report 2015 is available with many supplementary videos, audios that follows the theme of ‘Listening’, animations, picture galleries, links to further information and many lively features to discover. Hager is particularly careful of the impact of its industrial activities on the environment. recovery of the production waste. In 2010, the Hager Group announced the acquisition of Berker GmbH & Co. KG, Schalksmühle, Germany. Berker brings to the Hager Group all the skills and the experience of working successfully for over 90 years. Since 1919, Berker has produced high-quality electrical installations – ranging from timelessly classic switch designs to intelligent building management systems.